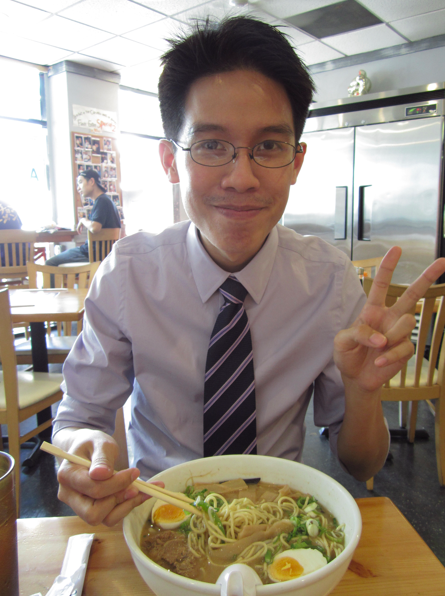 Last Wednesday (July 27th), I had a ramen run with my coworker Kim Long. By the way, Long is actually part of his first name, it’s not his last name… Anyway, he and I have been talking about going to Orochon ever since he started working with me, (it’s been almost two months), and we finally made it there after several failed attempts of going. 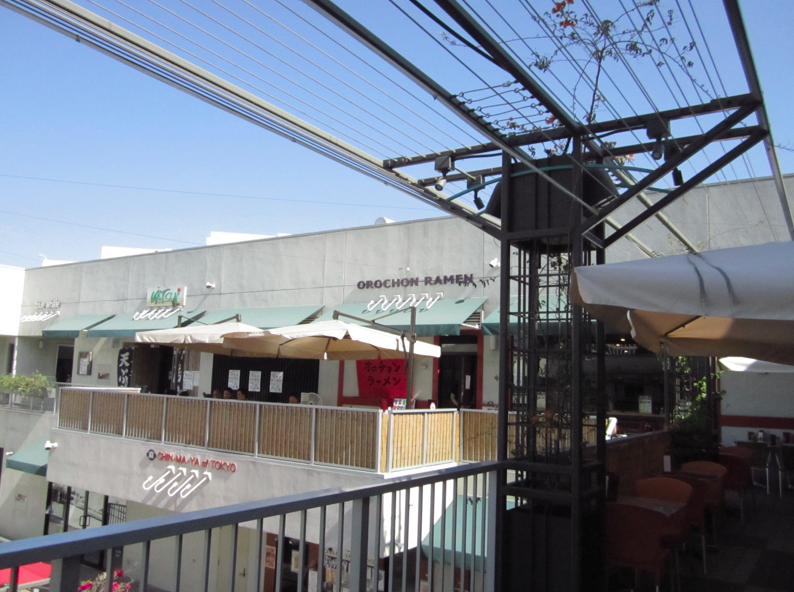 Orochon is located in downtown LA, in the Little Tokyo district. 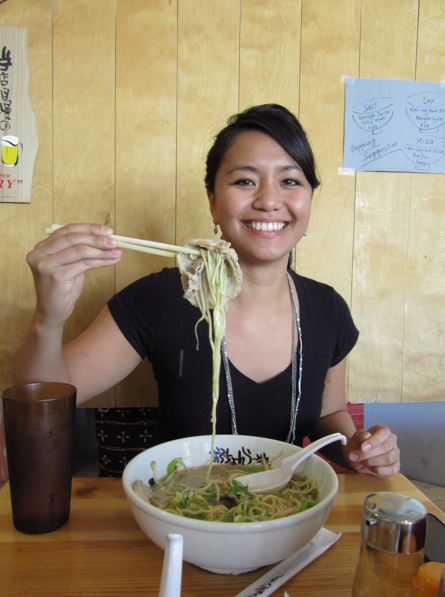 They’re famous for their spicy ramen and people often go there for the Orochon challenge. 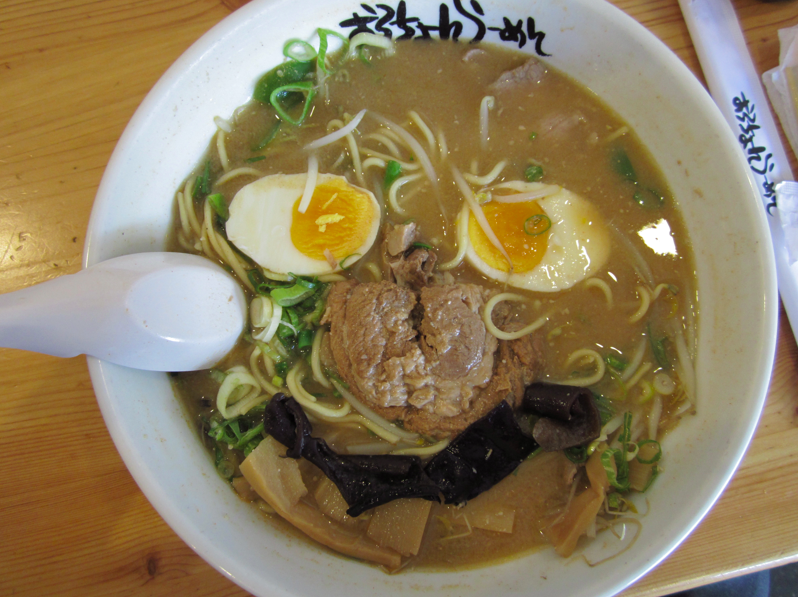 I have read mixed reviews about the place, mainly about how the broth tasted. And you know me, I love a good broth! But because of all the hype I’ve heard about Orochon, it had to be on our list. As soon as we got out of work, we headed to Orochon. 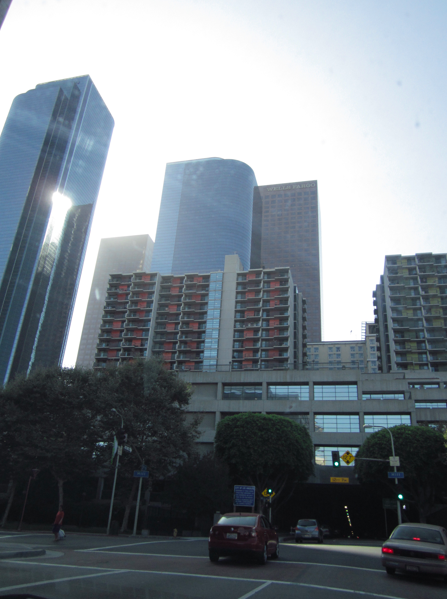 Luckily, our workplace was not too far from downtown LA and it only took us about 25 minutes to get there with some traffic. We arrived around 4:15 and there was no line. YES! There were maybe about 10 other people there but it was still too early for dinner. 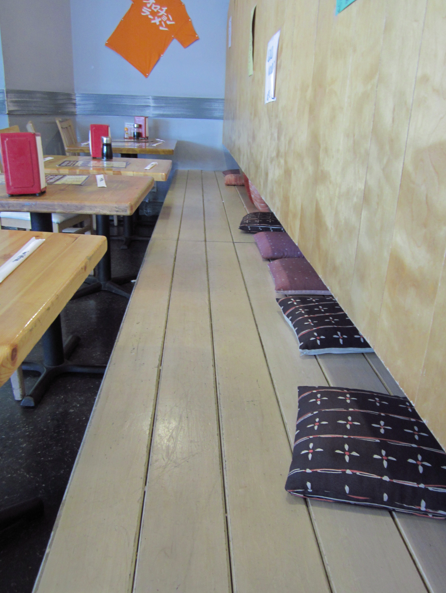 The cool thing about this place was that it had a lot of seating for a ramen place. 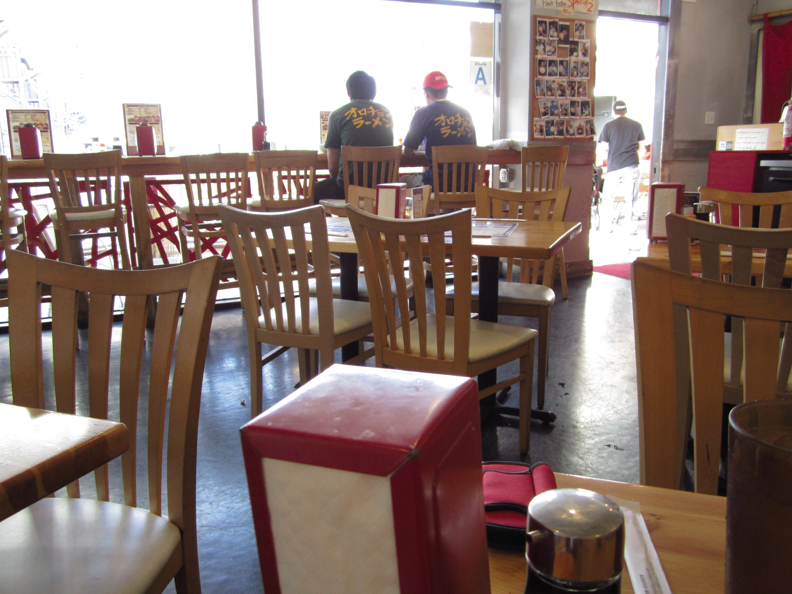 They had indoor seating and outdoor. Orochon Ramen! Lots of outdoor seating. Lots of indoor seats! And pillows. My hungry and angry face. I’m not so big into spicy food. I like a little bit of spiciness, but I’m never after burning my tongue off. When you order your ramen, you get to pick the type of broth, (miso, salt and shoyo broth) and what level of spiciness. I ordered a level 4 miso broth with an extra slice of chasu. Overall, I thought that the ramen was not bad. 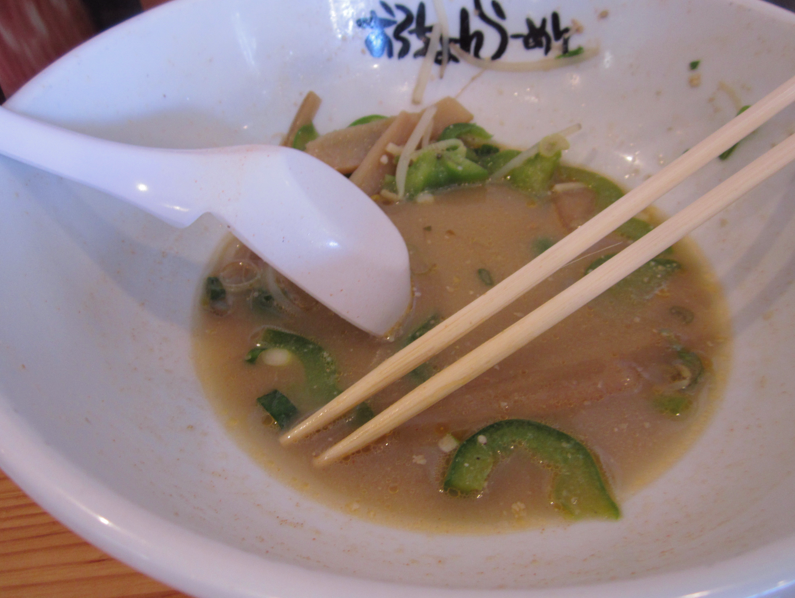 The miso broth was delicious and I can really taste the flavor, and I had just the right amount of spice I like. Maybe next time I’ll try the next level, 5. The saltiness was just right. I’m pretty sure they did not use MSG because I did not swell up right after. I was also very stoked that I had two big fat slices of pork! The chef must have liked me!! Hehe. I wasn’t a fan of the bell peppers though and I didn’t realize my ramen had bamboo until I dug in. Bleh. Look at those big slices of pork! Yum. Happy to have food in my stomach. And so the guest writer begins, right aligned too. What’s wrong with this guy? So this actually isn’t the first time I’ve gone to get ramen with Joan. But that was before the Ramen Run blog began. I don’t remember, but I probably told her about Orochon back then too. 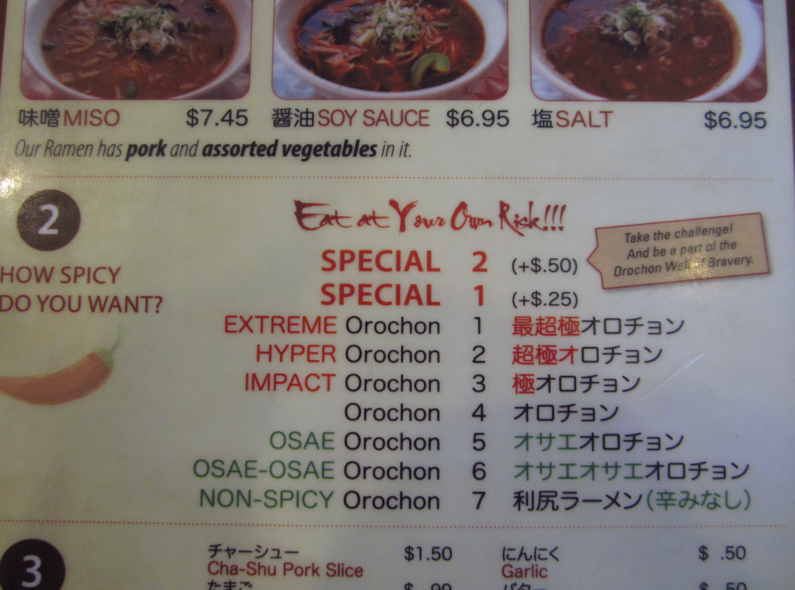 I found out about Orochon in 2009 when a group of my friends went after that year’s Anime Expo. Back then, the lowest level was all I could handle. I’m a total wimp when it comes to spices. But I am proud to say that in the past couple of years, I’ve moved up! The last time I went, I got #5 and it was more than tolerable. This time, I got #4, and it wasn’t bad either. I was able to eat everything in the bowl, but I couldn’t finish the broth. There were lots of good flavors and the spiciness added a nice touch without melting my face off. So Joan actually got the numbers backwards. She got the Level 5 and I got the Level 4. Excluding the two specials, it’s spicier as the number goes up. Don’t mistaken Level 1 as the least spicy, or you’ll be in for an unpleasant surprise. On my first visit, I think it took 5 minutes for everyone in our group to figure out what the level of spices meant. Next time I go back to Orochon, I may try the Level 4 again, or I might back down to Level 5. Who knows. By the way, Orochon will validate your parking to give you 1 hour for free, so if all you’re going to do is eat there, park underneath the place. The entrance is on 2nd Street between San Pedro and Los Angeles. Every time I go, I end up circling a few times before remembering where to park. If you’re spending the entire day in Little Tokyo though, you may want to look for cheaper parking. Well, that’s all I have to say for now. This isn’t the last you’ll hear from me though. 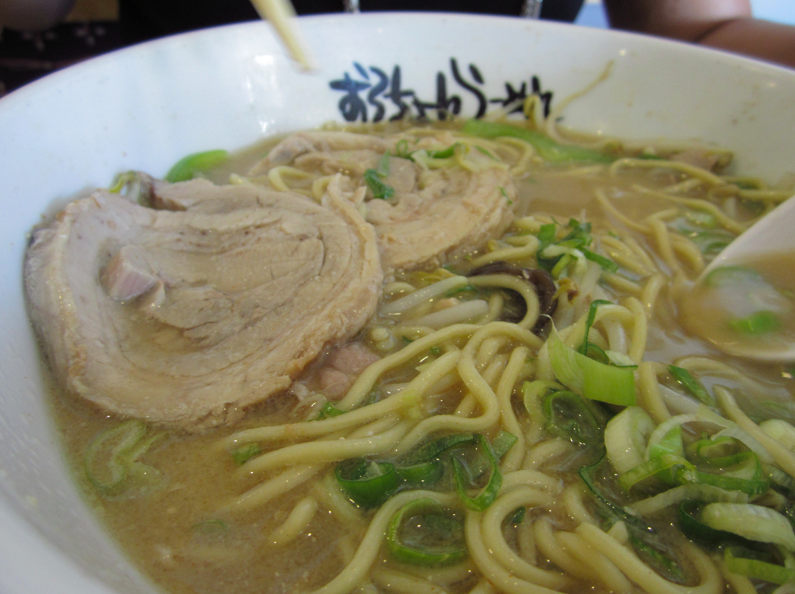 We’re planning to go to Ebisu in Fountain Valley as well as find more ramen in Gardena where a couple of locals we know know some good places. I’m dyslexic. Yeah, I got the level 5 and next time I’ll try the 4. But so is Kim Long. It’s actually Ebisu, not Ebusi. Hehe. Needless to say, we cowered away from the Orochon Challenge. I don’t think I ever will attempt it. But it would be fun to go back and bring a friend who will! 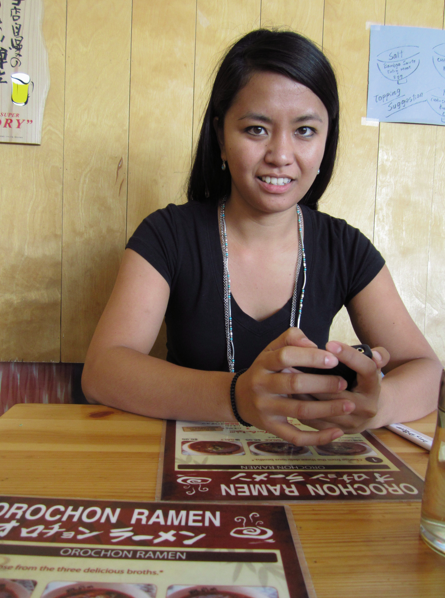 I definitely wouldn’t mind having ramen there again. My bowl when I finished. 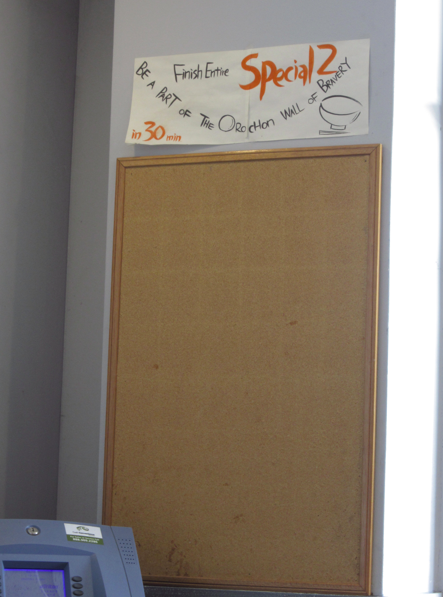 This is what this bulletin board will look like if I make attempts at the Orochon Challenge. EMPTY. 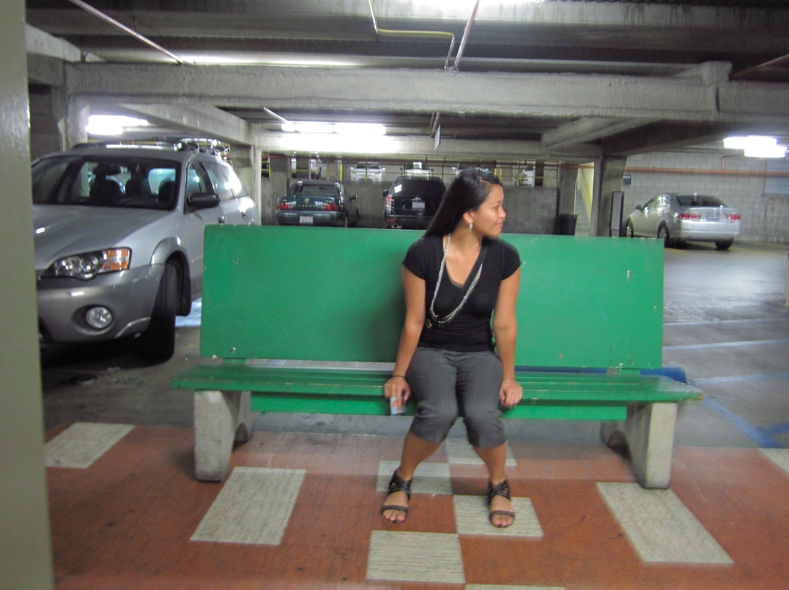 If you see a random green bench in a parking lot, you must be near Orochon.